The 2015 Season will conclude on November 8th. Our 2016 calendar is now open. Contact Bob to review dates, times, offerings and booking requests for your Private, Corporate and Charity Events. 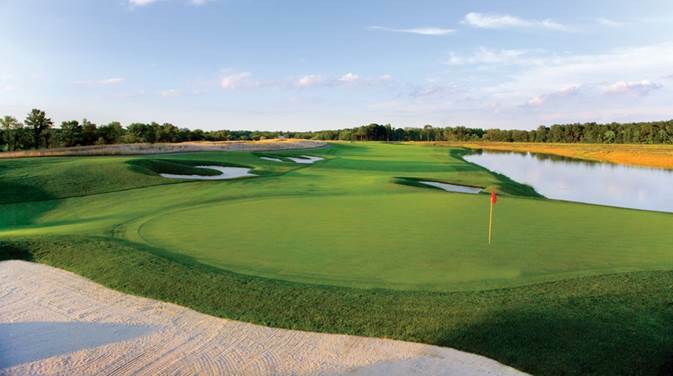 Grand Niagara Golf Club was recently ranked number one on Golf Advisor’s “Top Five Rees Jones Original Designs” list. Click here to see the article. Stretching! Find space in your house, bring a couple of your clubs and start your winter routine with some good stretching. Employ the same stretching you would do on the range prior to any practice session or pre-game warm-up. These stretches will be beneficial throughout the off-season to keep the big muscles flexible and limber. Stretching 3 to 4 times a week for 10 minutes will surely make the move into spring that much easier for you. Putting! Taking the putter out and keeping it out will be extremely beneficial over the winter months. Find an open carpeted space anywhere from 5 to 15 feet. Set up targets at various lengths to work on your putting stroke, but more importantly to preserve your touch. Similar to the time spent stretching, putting 3 to 4 times a week for 10 minutes will help your stroke and help with maintaining your feel. 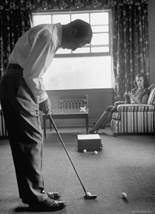 However, if you are like me, putting while watching sports (for well over 10 minutes) is perfect too. Hitting! In many regions indoor golf domes are becoming the norm. Should time and travel not be a concern, I would recommend a couple visits to these facilities over the winter to get in some good full swing practice. Golf instruction is always available at these domes and winter is never a bad time for a swing tune up. As the season draws to an end I would like to take this time to wish you and yours a safe and happy Holiday Season. We hope to see you back at the club in Spring 2016! This last burst of good weather has extended the season by a week; a nice treat after October’s final week of heavy rains and cool temperatures made things a little miserable. As we wind down the course, staff is busy preparing for winter. The irrigation system has been shut down and winterized. Our tee decks have been aerated and the greens will be aerated once the course is closed. At that point a winter protection fungicide will be applied to all greens, tees and fairways. The golf carts will receive a final checkup and then stored for the season. The cart tent will be taken down and stored away. 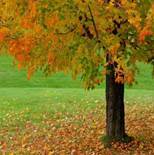 As we move into winter we will start the tree maintenance work as well as winter maintenance of all the equipment used on the golf course. It has been another great season here at Grand Niagara. I would like to thank our Turf Department staff for all their hard work and dedication in making 2015 a successful year on the golf course; in particular our Assistant Superintendent Matt Whillier and our Lead Hands Steve Whillier and Ryan Wetmore. I would also like to welcome our new Mechanic and jack of all trades, Morris Rempel to our team. We look forward to even better things in 2016 on our great course. As our 2015 golf year comes to a close I want to take this opportunity to sincerely thank you for your loyalty and patronage. On behalf of ownership, management and all of our staff, I want to express our gratitude in you making Grand Niagara a part of your busy lifestyle. Our Golf Operations, Turf, and Food & Beverage Departments all strive to provide top notch playing conditions and a pleasant customer service experience whenever you play Grand Niagara. We realize there are many options for the golfing public and we are humbled by your positive reactions and comments to our facility. Our membership has shown steady growth over the past two years and we look forward to even more loyal customers enjoying the benefits of membership at Grand Niagara. We are proud of our Score Golf ranking as 35th Best Public Golf Course in Canada and we will strive to not only continue providing the same quality product but hopefully improving even more. Please have a safe and happy off-season, hopefully spring arrives early. 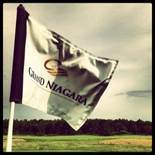 We look forward to seeing you at Grand Niagara in 2016!